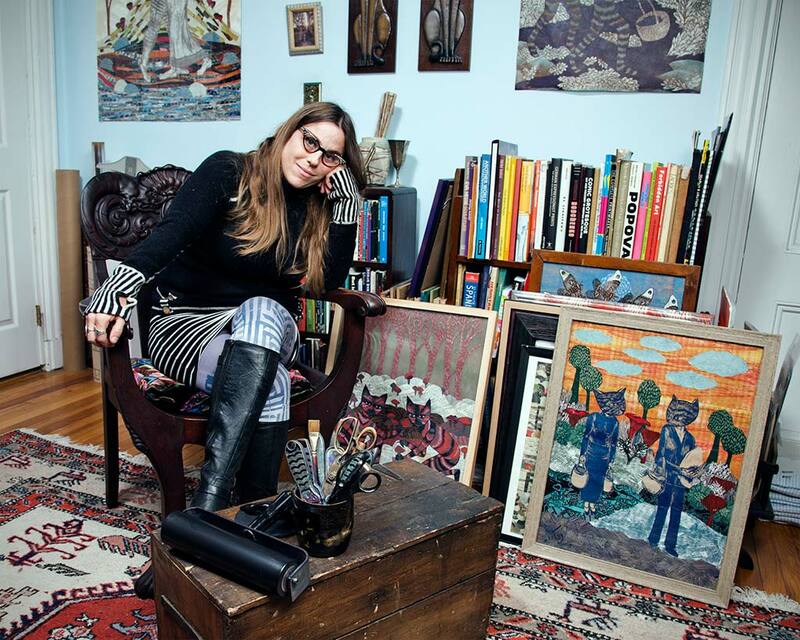 Meredith Stern, photograph by Scott Lapham. 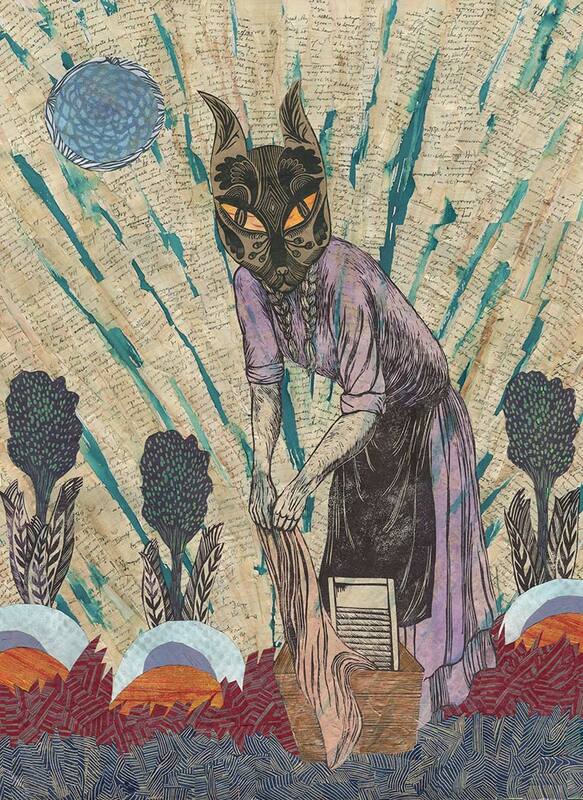 Artist Meredith Stern obtained a BFA in Ceramics at Tulane University in New Orleans. She is a member of the international printmaking group called The Justseeds Artists’ Cooperative and has a multi-faceted practice that includes printmaking, ‘zine publishing, gardening, and utilitarian ceramic ware. Stern has received project grants from RISCA, the Barbara Deming Memorial Fund, and the Puffin Foundation. Her work is in the permanent collections at the Library of Congress, Harvard University, the Book Arts Collection at the MoMA and in museums and universities around the country. 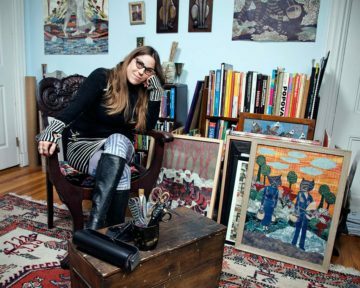 In 2012 she curated a portfolio of writings and visual art on gender justice called “This is an Emergency!” In 2015 she created a series of 14 large-scale linoleum block portraits of creative people working in their studios titled “Craft in Time,” which is in the collections of University of Connecticut and the RISD Museum. Fannie Simonowsky, 30 x 221/2 in.